American City & County's Municipal Leader of the Year, Richard Lemack, relies on skills learned in law enforcement to lead Davie, Fla.
At the recent ribbon-cutting at Davie, Fla.’s new Peaceful Ridge Park, Town Administrator Richard Lemack was surprised to see several of the town’s employees attending the ceremony on their day off. 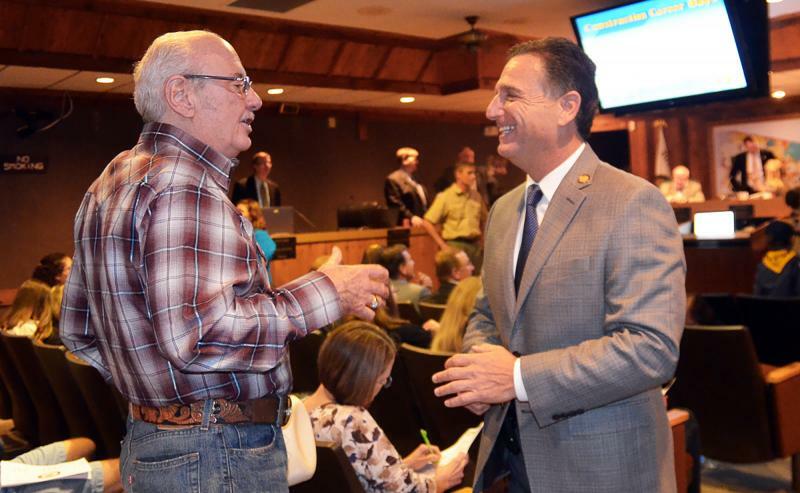 For Lemack, it was a validation that his effort to encourage broad participation in decision-making, from the Town Council to employees to the citizenry, was paying dividends for the suburban Broward County community. Lemack’s practice of engaging all stakeholders through communication and participation has turned around a community that had a reputation for instability and turmoil in its leadership. Prior to hiring Lemack in 2011, the town had employed five administrators and two interim administrators in the previous 13 years. One of those administrators is serving a 12-year prison sentence for embezzling nearly $500,000. By contrast, town officials, neighboring officials and citizens alike rave about Lemack’s dedication to his job and his ability to bring unity to a community where the sprawling suburbs meet rural horse country. In his three-plus years as town administrator, Lemack has made his mark in Davie, providing both vision and stability through a difficult period in the town’s history. For his communication skills and his leadership in the areas of finance, local government collaboration, emergency management services, and balanced economic development, American City & County magazine has chosen Lemack as its 2014 Municipal Leader of the Year. In particular, Lemack’s advocates point to his fiscal discipline, his collaborative role with neighboring communities and his ability to foster balanced redevelopment that maintains the “equestrian” lifestyle that is a point of pride for the community. Davie is an unusual blend of country, suburban and urban all within Broward County, the second-largest county in Florida. The town’s population has surged from about 20,000 residents in 1980 to an estimated 100,000 or more within the next two or three years. It covers 37 square miles, the largest land area in the county. Davie is known for, and cherishes, its horse farms, equestrian rural lifestyle and homes sitting on one-acre lots. At the same time, the town serves as the home of the Miami Dolphins training camp, as well as a number of community development projects to provide affordable housing and recreation centers for disadvantaged communities. 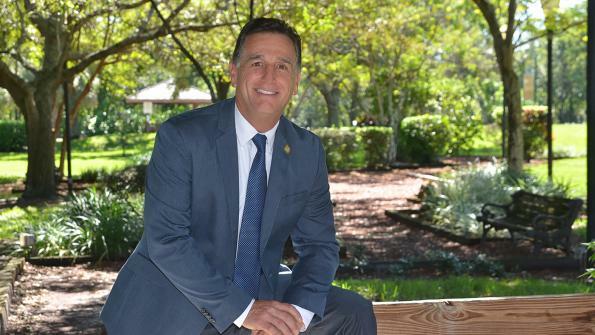 Balancing the diversity of the sprawling community is among the sternest challenges facing a town administrator, says Ronnie Bergeron, a Davie businessman whose family has lived in the community for more than 100 years. “It will always be a challenge between the cultural heart of the town versus the urge for development,” he says. The town council hired Lemack in a unanimous vote in April 2011, shortly after the town had fired its previous town administrator. Lemack’s predecessor, town councilors complained, did not communicate with them and surprised them with unanticipated controversies. Lemack, previously the assistant chief of police and assistant city manager in nearby Hollywood, Fla., was a police officer in Fort Lauderdale at the time of his hiring. Paul points to a recent community meeting on the new budget that was not nearly as contentious as in previous years. “He’s in tune with the community,” she says. Lemack, though, has achieved considerably more than just building harmony in the community. 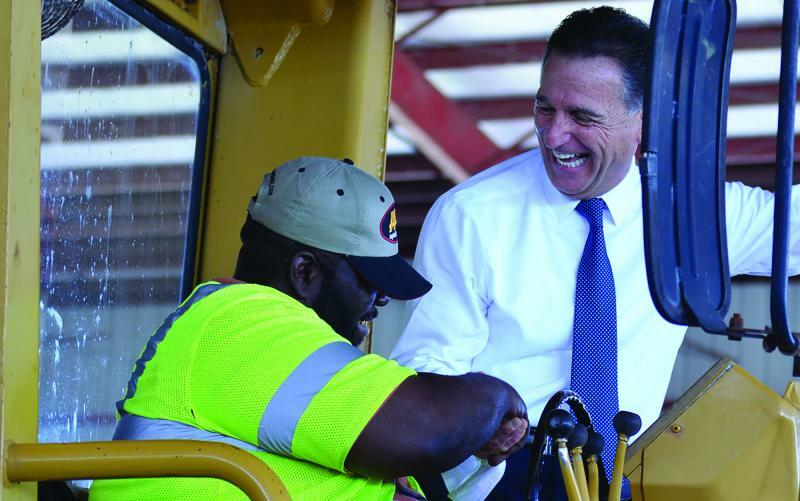 Among his most important accomplishments, he and others say, is the town’s financial recovery, which includes pension and budget reforms. Lemack tackled one of the major expenses of the town by successfully redesigning and modifying its pension plan. For the first time, the plan includes an employee contribution by all employees that began in fiscal year 2013, which will rise to 3 percent over time. In addition, new employees are provided a modified pension plan with new factors that reduce the employer liability and raise the retirement age. As a result, the town’s plan contribution eventually falls from 24.67 percent to 7.39 percent, an approximate 70 percent decrease. The impact on the town’s budget has been dramatic. The estimated decrease in annual cost is $263,000 and the town is on its way to achieving its goal of eliminating its pension-related insolvency risk. “This is huge for us,” says William Ackerman, Davies’ director of budget and finance. As a result, workshops that once lasted late into the night today move swiftly. Now the town is able to produce a budget on time, according to Ackerman. He noted that the town received an award for its budget presentation from the Government Finance Officers Association, which recognized Davie for maintaining best practices for transparency and full disclosure set by the government financial community. With the changes, Davie has been recognized through higher ratings on its bonds. In June, Standard & Poor’s (S&P) raised the rating on the town’s general obligation bonds by two notches, from AA- to AA+ and rated its outlook as “stable.” In its accompanying analysis, S&P wrote that “the stable rating outlook reflects our view of the town’s consistent financial performance and very strong reserves.” The higher rating often is reflected in better rates from the markets for a community’s bonds. Ackerman says Lemack has emphasized the need to maintain the town’s fiscal integrity, especially preserving a substantial reserve that can be used in emergencies. But even more important, he says, has been Lemack’s leadership throughout the budget process, a sharp reversal from previous administrations. As part of his effort to gain maximum value from the town’s resources, Lemack initiated an arrangement with neighboring Southwest Ranches to provide, first, fire and, more recently, police services. The services agreement, which is believed to be the first in Florida, has worked well for both sides, according to Andrew Berns, the Southwest Ranches town administrator. The relationship began in 2012 with fire protection. Lemack heard that Southwest Ranches was looking at alternatives to its existing relationship through which services were provided by the county and a neighboring community. Because Davie had stations near Southwest Ranches that could provide coverage, he approached Southwest Ranches, and they inked an agreement. Subsequently in 2013, the relationship expanded to police protection, which the town was also receiving from the county. Through the five-year contract, Davie was able to assign more officers to Southwest Ranches while reducing its own costs, Berns says. Berns also applauds Lemack’s role in the conversion of the county’s troubled 911 emergency response system from a collection of 11 local stations to three countywide communication centers. The new system solves a problem when mobile calls get routed to the wrong city because the closest cellular tower might not be in the same city as the caller. Berns noted that Lemack’s previous experience as assistant police chief was critical in moving the county to the new system. Lemack was able to use his knowledge of emergency services to assist local administrators who raised concerns about distribution of costs that needed to be addressed, Berns says. Kiar, county commissioner, also noted that Lemack was trusted in such a high-profile project because of his previous police experience. “He was instrumental in saving lives,” he says. Lemack is lauded for his his work in managing the development of Davie, which maintains its character as a “cowboy town,” as Bergeron labels it, in the midst of growth and increasingly fragile water resources. In December 2013, the town completed its water and wastewater reclamation facility, under Lemack’s management, though it was begun before he came to office. Under the project plan, reclaimed wastewater will be purchased and utilized by large users in the areas that surround the new facility. The water will be used for irrigation and industrial purposes of surrounding educational facilities and golf courses. The town constructed a water treatment facility that will also provide additional capacity for growth. With the completion of the water facilities, the town is in better position to move ahead with development. The town estimates that its main transit corridor has room for 8,000 residential units, more than 3 million square feet of commercial space and additional industrial and office space. Neal Kalis, who was a member of the Community Redevelopment Agency before its responsibilities were taken over by the town council, says that Lemack was able to bridge differences among different points of view. Macciano Lewis, Davie’s deputy administrator, says Lemack has been successful in gaining community involvement in redevelopment projects that have opened and repaired hundreds of affordable housing units in the town. In addition, Lemack has attracted grants for parks and recreation centers in socio-economically challenged areas. For his part, Lemack attributes some of his success in bringing people together to resolve issues to his 22-year career in law enforcement, spent largely in nearby Hollywood, where he worked himself up the ladder from patrol officer to assistant chief of police. He noted that recently a proposal came before the town council that would have rezoned an area from one home per acre to 1.8 homes per acre. The town council turned down the application, he notes, maintaining a consensus on development. “The vision is the same,” he says. Yet, he understands that the town needs to continue to manage growth in order to sustain its operations and rebuild its aging infrastructure, which will require substantial capital investment in the next five to 10 years.